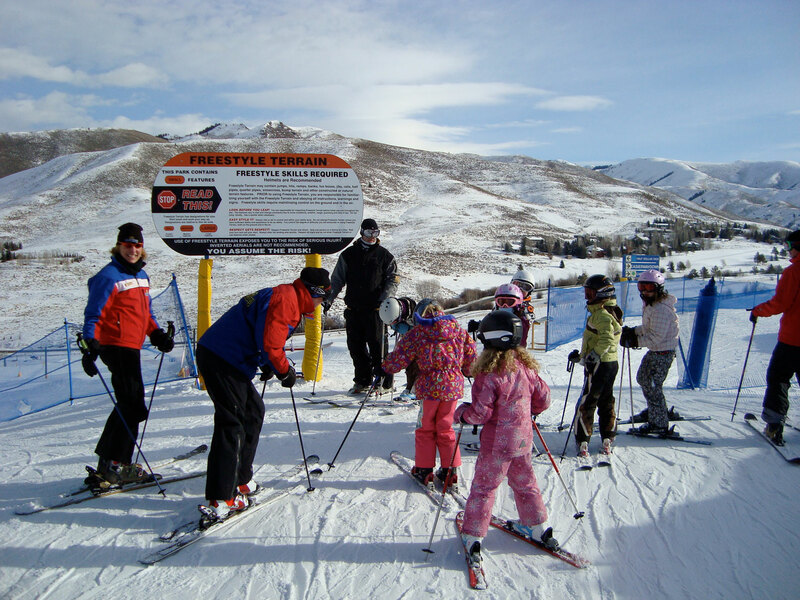 Sun Valley’s Dollar Mountain has a rich history of teaching people how to ski. It’s gentle lower pitch and treeless terrain inspire confidence in beginners, and the upper slopes serve as the perfect warm-up for the more challenging runs on nearby Bald Mountain. 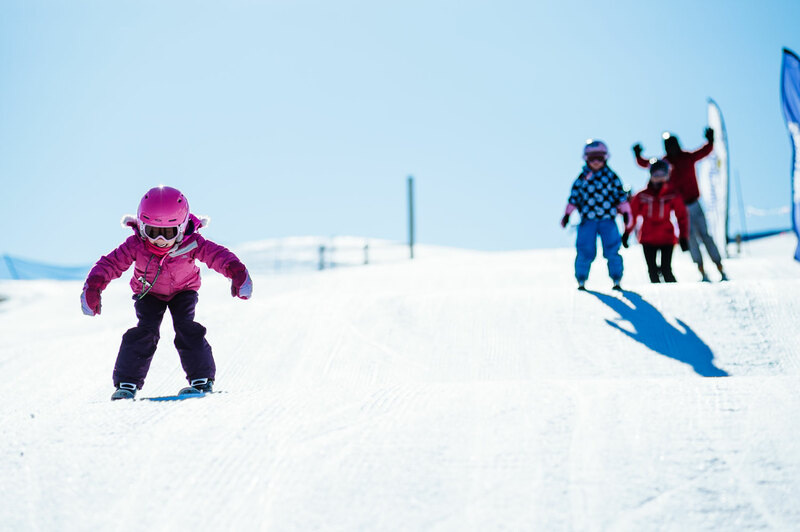 While these aspects of the mountain have not changed since it opened in 1936, Dollar Mountain is now a leader among ski resorts nationwide in building enhanced terrain—people of all ages can learn how to ski on safe, yet dynamic man-made features. Gone are the days of the terrain parks with huge jumps, gnarly rails, and a 22-foot superpipe. Dollar now boasts four separate sets of terrain features, each one designed for a particular level of skier, to help all abilities progress their skills. For beginner skiers that have mastered the magic carpet and are looking for adventure on the easiest runs at Dollar, the Prospector Park is the place to go. Here you will find gentle spines that help beginners learn edge pressure and angulation, while the mellow rollers are perfect for learning how to maintain speed. After a few spins through Prospector Park, head over to the Mine Shaft, located skier’s left of the Quarter Dollar chair. Mine Shaft is the next step up on the progression scale, where the beginner-friendly terrain is bit more defined with banked turns, bigger rollers, and spines. These features are designed to help the beginner skier continue to progress their turning skills, not send people airborne, making for a fun and unintimidating skiing experience. Perhaps the most universal set of features at Dollar is found in the Trestles park. Designed much like a skate park, Trestles sports nearly a dozen features that can be enjoyed several different ways. Large rollers, quarter pipes, hips, and rails are seamlessly linked together allowing riders the opportunity to flow through the park with maximum style. Multiple take-off and landing points on each feature further test the rider’s creativity, with countless variations and side hits available to ensure no two runs are the same. Confidence is gained with each lap through the Trestles Park, giving riders the chance to experience terrain park features without having to commit to huge, mandatory jumps. Once familiar with the quarter pipes and hips of Trestles, riders are ready for the bigger jumps in the Train Yard, a series of medium and large sized jumps located under the Half Dollar Chair. 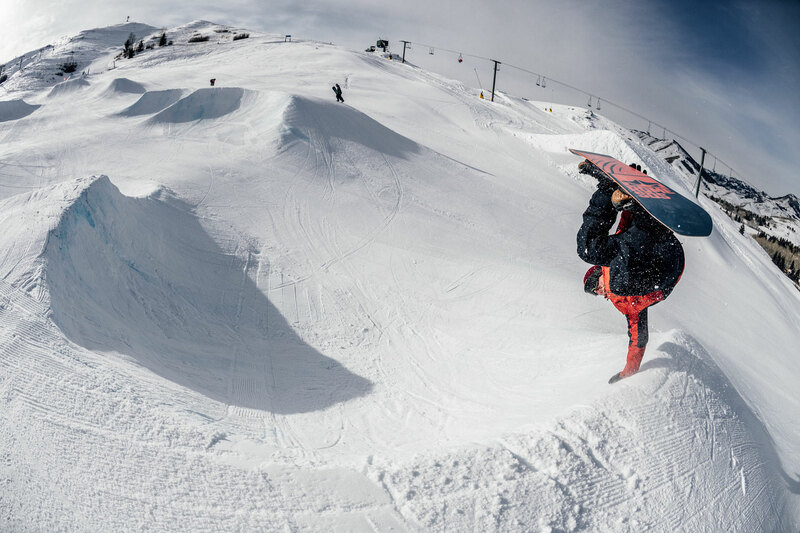 By having such diversity in their terrain park offerings, Sun Valley is looking to keep itself at the forefront of the industry while providing an exceptional skiing experience for all. 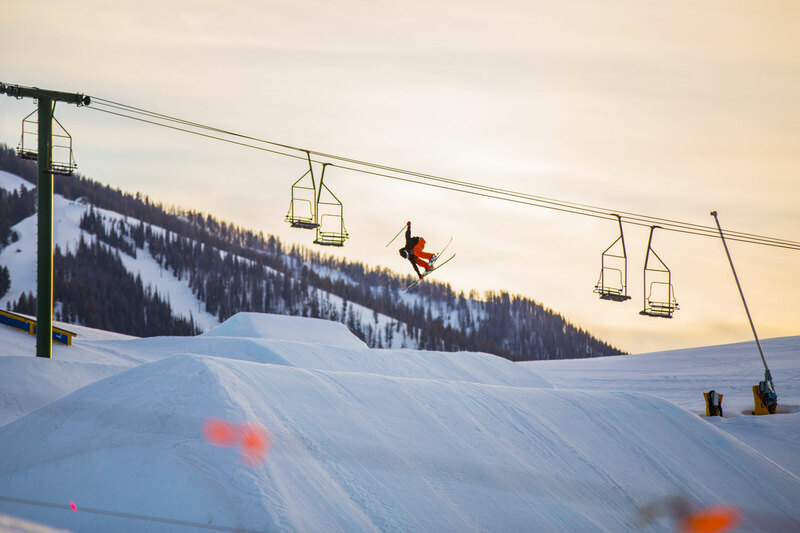 According to Sun Valley’s Terrain Park Manager, Nate Sheehan, “Our goal is to have something for every skill level. Industry wide, we saw a decline in the amount of people skiing in terrain parks. That was one of the big reasons for building these more fun, more mellow types of terrain features that a lot of different users can have fun in. I think it’s been pretty well received, and I think its starting to become more of an industry trend.” From helping novice skiers learn the fundamentals of edge control, and promoting creativity for the up and comers, to providing a legit training ground for pros to work on their tricks, Dollar Mountain is loaded with terrain features to help skiers of all abilities take their skills to the next level.